At a Texas Senate committee hearing Thursday, new UT System regent appointees got a friendly reception. But there was criticism of those running the system. State senators were critical and at times combative with current and incoming leaders of the University of Texas System on Thursday, expressing anger in two separate meetings about issues like the system’s planned expansion into Houston. The lawmakers called communication lacking between the Legislature and the system lacking. They also questioned how the system was spending its money. UT System Chancellor Bill McRaven bore the brunt of the criticism. “I don’t think you give a damn what the Legislature thinks,” said Sen. John Whitmire, a Houston Democrat strongly opposed to the system’s plans in his city. That was the strongest attack, and not one necessarily echoed by other members. Whitmire made it during a hearing of the Senate Finance Committee. Soon after, the committee’s chairwoman, Sen. Jane Nelson, R-Flower Mound, banged her gavel and brought McRaven's testimony to a close. But other members raised complaints before that happened. A few senators were upset with what they perceived as efforts by McRaven to roll back the Top 10 Percent Rule in college admissions. Senate Higher Education Committee Chairman Kel Seliger, R-Amarillo, disagreed with the decision to build the system headquarters in downtown Austin. Seliger was also upset that the system spent more than $1 million on marketing. “It looks to me like an entity that has a lot more money than they know what to do with,” Seliger said. But most of all, senators were angry about the Houston campus. McRaven announced the idea in November 2015, and the system bought more than $200 million worth of land in the city a few months later. Lawmakers have asked for more details about the project and have been frustrated with the response. McRaven has convened a task force to come up with a plan for the site. He said the system doesn’t plan to open a new university — it will be a site of collaboration for other schools on research and other work — but hasn’t given many more specifics. Houston lawmakers have rallied against the idea. Many say it is a threat to the growth of the University of Houston. But lawmakers were also bothered by the fact that they weren’t told about plans before they were announced. McRaven apologized for the communication issues. He said he kept the plans quiet because he didn’t want word to leak out and drive up the price of the land. But in retrospect, he said, he probably would have handled the situation differently. “I was new on the job, and I accept that criticism,” he said. “I spent 37 years in uniform — and I am not going to tout the military — but I swore an oath to defend the Constitution of the United States against enemies foreign and domestic,” he said. McRaven was there to speak about the Senate’s first crack at the budget, which would cut hundreds of millions of dollars’ worth of “special item” appropriations to universities. Senators have already said they expect to add at least some of those items back in, but university leaders from across the state have warned the Senate Finance Committee that the cuts could cripple their schools. McRaven echoed that concern, saying the budget as currently written would have a “fairly devastating” effect. Less than an hour earlier, Gov. Greg Abbott’s three appointees to the UT System Board of Regents received a friendlier welcome at their Senate confirmation hearing. But senators in that meeting still heaped plenty of criticism on UT System leadership. Seliger called the proposed Houston campus the “Manhattan Project of higher education” and called the under-construction system headquarters "a monument to the board of regents." The three appointees — retired Republican state Sen. Kevin Eltife, former regent Janiece Longoria and businessman Rad Weaver — didn't try to defend the decisions of the system. Rather, they said they would focus on what is best for the state of Texas and closely evaluate proposals put before them. That seemed to please the senators in the room. 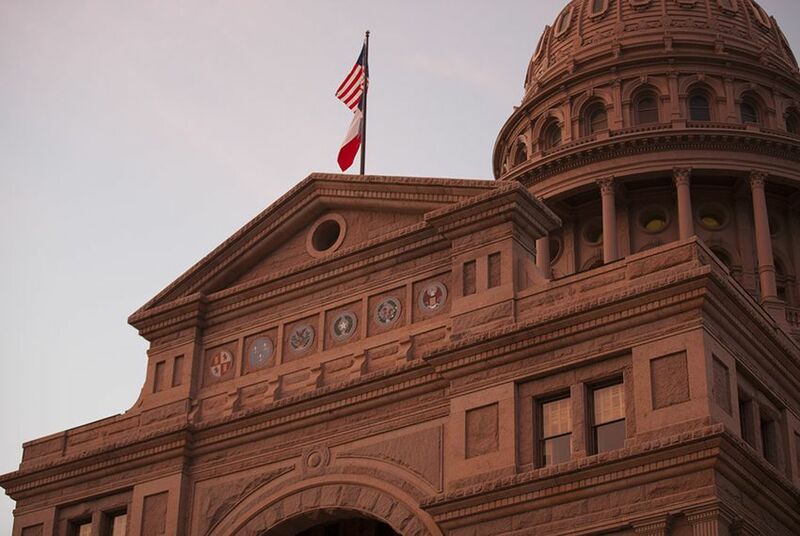 "There will be times where the interest of the University of Texas System is not in the interest of the people of the state of Texas," said Sen. Brian Birdwell, R-Granbury, chairman of the Nominations Committee. Eltife in particular said he would keep that in mind and work to improve relations between the system and state leaders. "I have no problem telling the truth, raising hell and voting no," he said. Abbott named the three appointees this week, and the Nominations Committee moved quickly to hold a hearing. The three newcomers will replace Regent Wallace Hall and his two closest allies on the board. Hall has been a controversial figure on the board for years and has clashed with other members. He currently has a case pending before the Supreme Court of Texas over whether he should have access to confidential student information related to an admissions scandal at the school. If the new regents are confirmed before the Supreme Court rules, the case will probably become moot. Birdwell said Thursday that he expects the committee to vote on the three new regents next week. Then, their confirmation will go to the full Senate for a vote. Hall's name didn't come up during the appointees' testimony. But they suggested that they didn't plan to micromanage the system — something that Hall has been accused of doing in the past. Instead, they said they expect to have oversight and policy-making roles.